Pick one or more of the resolutions below. Commit, execute, enjoy the results. I’ll never hire another sales rep who can’t get the sales job done. First, completely understand the position and the skills and traits required to be successful. Evaluating whether a candidate meets those requirements requires a series of two to three structured interviews. There are no perfect candidates, but if you understand gaps between what capabilities the candidate possesses and what is required for the job, you can train, coach or support that new rep to success. I won’t spend another dime on technology for my sales team without knowing specifically how it will help my reps win business. In general, what companies receive in return for their investment in CRM technology is significantly short of expectations. Before you make any investments in CRM, Sales 2.0 or other emerging technologies make sure the primary recipient of value is the salesperson. There has to be a direct, proven connection between the software application and the salesperson winning more business. I will teach and then continue to encourage my reps to look at selling strategically. Many salespeople don’t think past the next meeting or phone call. You will be doing them (and yourself) a big favor if you can coach them into seeing the big picture—the next five steps in the sales cycle or what the customer’s situation might be in six months when they expect to make a buying decision. I will look at sales performance improvement strategically. You should know by now that tactical, event-based sales training doesn’t really provide any long-term value. So why are you still wasting time and money on it? I will implement a formal coaching function to support my sales reps’ growth. Coaching is not a sales manager closing a deal for a rep or telling them what to do in a tough competitive situation. Coaching is a mission-critical, formal, ongoing activity that is required for significant sales performance improvement. If you don’t know where to start, send me an email. I’ll point you in the right direction. I will run my sales organization like the business that it should be. In order to be successful, businesses require business plans, process, discipline, documented responsibilities and accountabilities, quality assurance and measurement of output. I’m not suggesting bureaucracy here. Just the appropriate measure of formality and seriousness. If seat-of-the-pants ever worked in B2B selling in the past, it certainly doesn’t any longer. I will provide my sales team with the leadership they need and deserve. A few questions for you around one area of leadership: Is marketing not getting the job done? Does the CEO set unrealistic revenue targets? Are customers angry due to product problems? Do your products or services not meet the needs of your market? These and other challenges can stop the best sales team in its tracks. It’s your job to get issues like these addressed and resolved. If you don’t have the required leadership skills, get them. I will advance my team considerably further than foundation Sales 101 skills so they can really be competitive. Winning these days requires more than just basic selling skills. Make sure your sales process includes advanced components, such as political mapping, selling to senior executives, and competitive strategies and tactics. Find the best approaches in those areas that fit your business requirements. Train your people. Sustain improvement with coaching and other post-training reinforcement. I will elevate the importance of my team’s knowledge about our customers’ businesses. Many customers of yours are buying only what will help them survive this economic crisis. If your salespeople can’t position your products and services in terms of contributing to your customers’ success—from your customer’s perspective—they aren’t going to sell very much. I will commit to understanding my weaknesses and improving those capabilities as a sales leader. There is no shortage of intelligence, research, best-practices, coaches, consultants and just plain good advice. Avail yourself of the best of them. How Are Sales Training Companies Faring In This Economy? A few of our clients have asked how the mainstream sales training companies are doing during this economic crisis. Let me provide you with a few data points. Based upon my understanding of current sales training demand, another CEO asked me whether I thought he should be hiring additional people. He had just won two big opportunities and had a reasonably full pipeline. On the other side of the coin, one very savvy CEO has taken his company’s expense levels down a few notches, just in case. I know of several training companies that have reduced headcount at the executive level. You may be wondering why the situation for sales training companies isn’t worse. The reason is that there are companies—more than you might expect—that are investing now in sales performance improvement. I wish I could share their names with you. They really deserve credit. 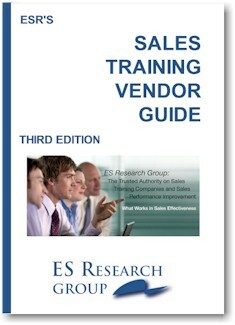 In fact, ESR is involved in more sales training evaluations now than at any point since we started the company. I am very encouraged about this. Redeploy any salespeople that can’t get the sales job done before you buy any training. It’s a waste of time and money as well as a distraction and demotivator for the rest of your team to continue having chronic underperformers on board. Make certain you understand the current situation of any vendor you are considering doing business with. It’s not the worst thing if business is down for them. But if they have reduced headcount, you want to make sure they’ll provide you with the right resources—the experience and expertise—to enable a successful initiative. Don’t negotiate the vendor out of a reasonable profit. If they don’t make money on your account, you’ll wind up losing, especially during these tough times. On the other hand, there is no need to subsidize the rest of their business. Cut a fair deal. Of course budget is an issue. Consider progressing in phases. Make sure you have metrics in place to validate progress, because you’ll want to get more funding later on. I got caught up a few weeks ago with Rich Geise, a friend and former colleague. With 30 or so years in sales and sales management, Rich is a Sandler franchisee, based in Villanova, PA.
Rich told me Sandler’s appeal is growing. He described that what most salespeople feel coming out of traditional training classes is frustration, having been sprayed with a blast of information. It is then their job to go back to the office and try to weave what they learned into whatever they’re doing. 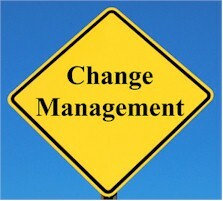 Rich points out that it’s very challenging to accomplish that; changing behaviors is very hard. He tells me that he works on an ongoing basis to do just that—to change people’s behaviors. To change their beliefs. He accomplishes that through a process. Rich’s approach differs depending on the company he is working with. With some he seeks to understand their current process looking for weaknesses. For other people and teams just some training is required. That ongoing reinforcement component of a sales effectiveness initiative is different with Sandler, Rich tells me. They don’t let the salespeople figure out for themselves how to put the learning to use. Rich describes the Sandler approach as providing “chewable little pieces at a time.” That helps to support behavioral change. The reps have plenty of ongoing reinforcement, including CD libraries and a wide choice of ways to practice what they’ve learned. Plus that ongoing coaching of the Sandler consultant. Sandler understands what a critical success factor reinforcement is. Rich described to me how he works on techniques, attitudes and behaviors with his sales people. Together they look at self-limiting beliefs (exploring a territory that a rep might shy away from, for example) and activities—what those people do every day. Together they set goals—personal, client and financial goals. Once the reps have plans in place, they work together on tracking the results of the behaviors. The rep is taught to be accountable for the outcomes. Rich talks about the Sandler approach being non-traditional. “If everyone is doing something a certain way, do it differently.” He talks about pattern interrupt and the impact that can have on a sales person’s performance. Rich reminded me that Sandler has over 220 training centers around the world. During the past year, they reoriented their focus somewhat, moving more toward the larger corporate client. I’ve spoken with a number of other Sandler franchisees over the past few years. Among them were Rich Isaac (Long Island), Joe Ippolito (Beverly, MA) and most recently, Chip Reichhard (Northern New Jersey). These are all very committed, experienced, and successful business people. Note: Sandler Training is one of the 27 vendors ESR is presently covering. This blog post is not a formal review. Before you go any further with vendor selection, read this post. What’s The Half-Life of Sales Training? At one point during one of the workshops I facilitated in Ireland two weeks ago, a CEO said, matter-of-factly, “… and you know what the half-life of sales training is…” He was discussing how his company took a more formal approach to sales effectiveness than just sales training, and the benefits that structure and process was delivering to his company. I had never heard the term “half-life” applied to sales training. Brilliant! Just the other day I finally got around to googling, “half-life of sales training.” Most of the hits I got back were related to an original article in the January 2004 issue of American Salesman. The subject of the article was a study commissioned by SPI (Sales Performance International) which found, among other things, that the half-life of sales training is just 5.1 weeks without post-program reinforcement. For 44% of the participants in the study the half-life is less than a month. Although this research was done more than four years ago, I couldn’t agree more. ESR has found that post-program reinforcement is the single factor with the most impact on long-term value of a sales training intervention. There are certainly others, such as management support and matching training to an accurate assessment of needs. But it’s post-program reinforcement—coaching, follow-up materials, tools, refreshers, etc.—that extends the value of training. A sales training “event” is held, but it isn’t part of a strategic sales performance improvement approach. Since there is no post-program reinforcement, most of what is learned is forgotten or not used. No measurable improvement is the result. That investment in the sales training event is seen as a waste of money by senior executives. 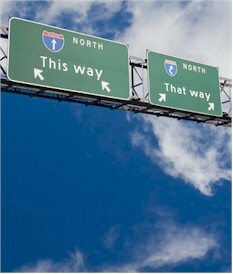 Due to a failure to deliver any benefits, investment for sales training for the next year is again severely curtailed. No funds are allocated for requirements definition, process improvement and post-program “extras” like management training, coaching, refresher programs, technology support, etc. The solution to this challenge isn’t a secret. We’ve certainly written extensively about it and so have the training companies we cover. What will it take for business leaders and senior executives to break this cycle?